Vezi Acum Gravity Falls S01E06 - Dipper vs. Manliness Online Subtitrat in romana calitate HD. Gravity Falls S01E06 - Dipper vs. Manliness este un episod lansat pe 20 iulie 2012 super! Vezi acum online gratuit! In a quest to attain manliness, Dipper ventures into the forest to battle the notorious Multi-Bear. Meanwhile, Mabel tries to teach Grunkle Stan how to be attractive to women, particularly the waitress in the local diner, Lazy Susan. 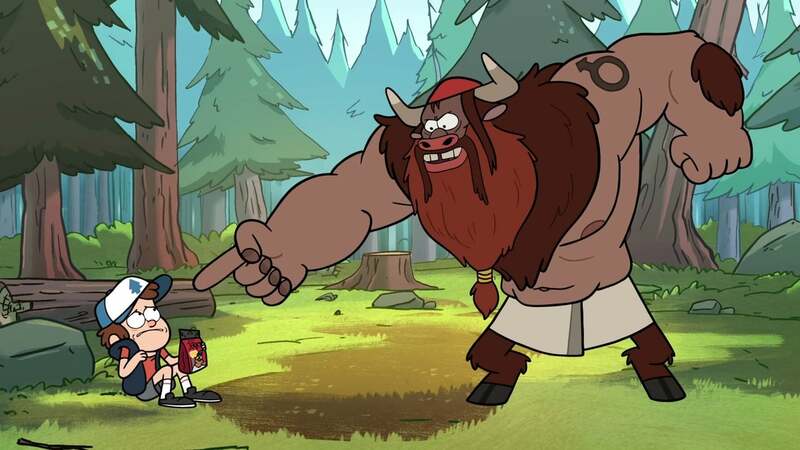 Distribuie sau scrie parerea ta despre episodul Gravity Falls S01E06 - Dipper vs. Manliness.